First, I want to start off by saying,"I apologize." 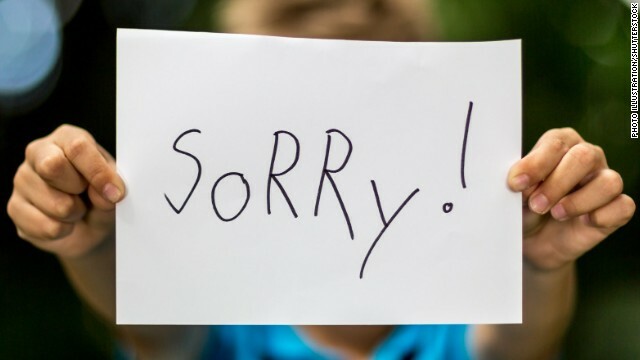 That's right..I apologize on behalf of all human performance industries as a whole, but more specifically on behalf of the collective Human Resources industry. Usually apologizes come when there are wrongs committed -- knowingly or when made aware of. I can honestly say, you as a business leader have been wronged. We as an HR community have been of disservice to you. It's not that we aren't trying. doing our best, or consciously withholding. We are one of the most caring, committed professionals you'll find! I believe our community is doing the best it can. Regrettably, it's not enough. It's not enough for what you need to manage and grow your businesses with strategic, fiscal responsibility. The Human Resource Industry as we have come to know it has a magnificent gap in it's capability to deliver what you need in some essential areas of which, (and this is the critical point), many are not even aware...and we know you can't change what you do not know or cannot see. I saw a post the other day on LinkedIn about an upcoming webinar for fellow HR professionals with a title something like this: Working With the Human Factor in Human Resources. I found it to be a funny title and posted accordingly. The title was also telling. There is a sweeping, unconscious assumption that those working in Human Resources have a meaningful, working knowledge of how to work with and handle -- humans. And that assumption leads to expectations that the human resource department has the professional capabilities to help business leaders effectively manage that resource in ways that these industry segments suggest: talent management, human capital management, leadership & employee training, organizational development and change management. There are probably a few more not listed and are all considered sub-set industries of HR. It also suggests that when there is a people problem, they will know how to adequately diagnose an issue and prescribe the best remedy. I can always tell someone's lack of human performance knowledge or appropriate knowledge in dealing with "people problems" when someone prescribes a one-off "training" class when there are behavior issues or when a dysfunctional manager is allowed to exist. This lack of knowledge perpetuates consistently poor decisions that waste money and time and which frustrates senior leaders, because the needed outcome of meaningful behavior change does not occur. In most cases the prescription of a bandaid is recommended when what's really needed is surgery. I think this unconscious expectation has frustrated leaders and hurt the HR brand - perpetrating a tepid reputation at best. Many leaders probably think, "They don't really know what I need to run and grow my business". The reality is... many if not most HR departments don't have the professional capabilities to deliver in these areas (HR subsets) because the core of each requires a particular knowledge regarding human behavior. That coupled with business acumen, also sorely missing, is the heart of business success. Where this industry and it's supporting professional groups such as SHRM shine is in proficiency of operational administration with some range of legal knowledge...and for that, as a fellow business owner, I am very grateful. Thanks for keeping us legal, compliant and having all appropriate paperwork in order! As a business community however, we've needed and still need more. Sadly, the gap is still present and being perpetuated with the new generation of HR professionals... so the gap continues. With this in mind and since I live in both worlds, I as an HR colleage and for the sake of fellow business owners, (I have 3 beside me in my immediate family), will keep pushing to say ..."It should be different." However, as I enter my 20th year in business (40 when you include my years as an individual contributor), I have decided to no longer live in the world of "should" anymore. And that's why I wrote this post and am including it in my marketing material and have made some adjustments to my business offerings. It was through this persistent awareness that I decided to take action by adjusting and fine-tuning my offerings. They are now a comprehensive compilation of all of my experience in training and development, human performance and talent management combined with my passion for business and strategy. My mission moving forward is through my expertise and that of my strategic partners to help leaders make the best decisions as they mange and grow their businesses. My business is now more intentionally filling the gap. Actually it has been for quite some time, but my branding was not fully reflecting it. Business leaders will need to be more adapt in looking for and choosing help in working with their "human resource" to achieve their business outcomes -- beyond traditional HR. It can possibly be found within the subset of HR specialties listed above. If you have an HR professional on staff, have a candid discussion about their strengths as it relates to what you need. Then plan financially and otherwise to fill the gap. Please know getting the right kind of help may feel financially as if you're hiring another person, but the value and cost overall will have huge, positive returns. If you don't know how to do this or need some help -- give us a call we can guide you through. Please know... doling out a periodic few thousand dollars as in the past for an occasional training won't cut it! You need to be honest about what you know and don't (and this is beyond SHRM certifications). Then make a plan to get outside help. This is critical and will be tough because it's difficult to fully admit what you don't know when you're fighting for legitimacy and respect in a profession where this is for many a constant struggle. The reality is we all have only so much time in a day to do a job well and serve at our best. The quicker you can be honest with how and what you can contribute, the quicker you can get assistance. Not doing so hurts everyone. The bigger picture -- it is undermining the potential growth for everyone and the company as a whole. It is a disservice! The stark truth is Business Leaders in partnership with their HR Counterparts will need to seek help from outside professionals with specific areas of expertise. Any reluctance to do so, waiting for the HR department to get up to speed will only delay the help needed and profits desired. Leaders wait too long to get external help and so time and money is wasted in operations and growth. Sometimes leaders think getting help is about exposing a weakness. Actually it's the opposite! It shows humility, smarts and strength. Ultimately, it is an act of quickly acquiring needed, relevant knowledge...consider it "customized training". Leaders really need this kind of help, because outside of a business school's weekend certification programs for example, there are very few learning/training opportunties for senior leaders and many of them still don't include critical information related to linking human behavior to better business outcomes. Our mantra...borrow ours until you gain your own. Remember, you can't change what you can't see, or don't know. Whether working with strategy, have a confidential sounding boarding, determining solutions to a particular challenge, on-demand help is an incredibly useful resource to have as an executive leader. I've created a business development & management program that any business leader can use, which includes coaching and support for senior leaders and their fellow HR professionals. For senior leaders, it installs a leadership and management infrastructure which serves as a framework for more effective execution of strategy and process while developing leaders and managers at all levels (including pre-promotion and succession planning), effectively developing high-performance teams, talent management, optimizing operations and creating organizational agility. The benefits to our system are substantial! Learn more here. In summary, I along with my strategic partners, will be filling the gap perpetually left by the HR industry to better serve business leaders. By the way, we offer a complimentary strategy-advisory session. So if you want to quickly learn how we can help, give us a call or email us to schedule a conversation -- see contact info below. To get a better sense of how I've come to this decision, read the backstory to the updated solutions. Overall, it's time for a change. // JCS Business Advisors is a strategic business management consultancy. With our expertise in human behavior, we partner with forward-thinking senior leaders, entrepreneurs and their HR counterparts to bridge the knowledge & execution gap of connecting people, performance, and profits, resulting in high-performance leadership teams and organizations. //Email: joann@jcsbusinessadvisors.com // Ph: 888.388.0565 // Schedule a complimentary advisory call and receive a copy of our latest executive briefing. Learn about our "all-in-one" system that develops competent leaders and managers, effectively manages operations, people & talent.